1. 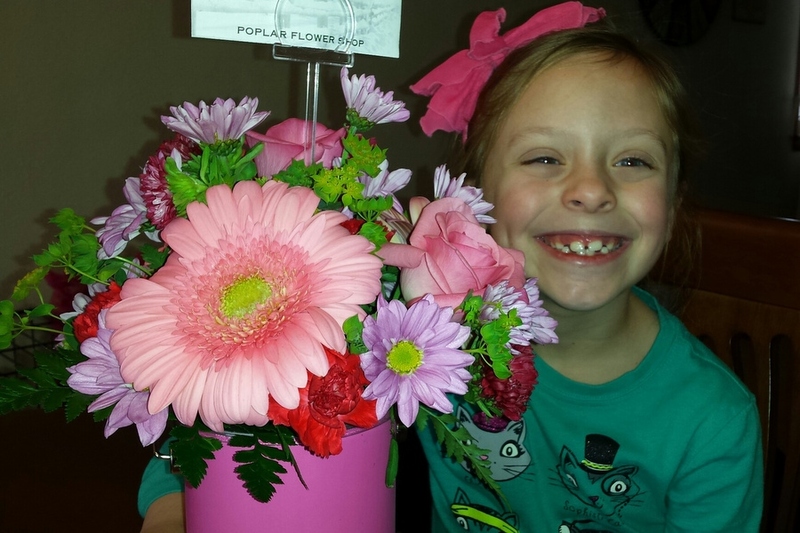 Someone had a birthday recently...can you tell by this photo that she was happy with flowers her aunt sent her? 3. We were through the strip pit area the other day...there were a few hundred White-fronted geese and several swans. 4. 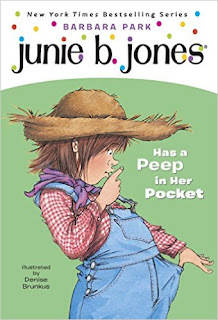 For some light reading material, specially if you have young kids, you might get a few chuckles from Junie B. Jones books...I had gotten Lorelei one...I don't remember the name of the first one. But that led to Sarah getting her some, and I got her more. And Sarah and I both enjoy them as much as Lorelei. 5. 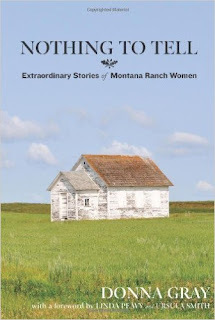 And Nothing To Tell by Donna Gray is what I am reading just for me...the author interviewed women that grew up in Montana, women with no claim to fame. This book is basically their words describing their life. I am really enjoying it. What a cutie! My daughter loved Junie B Jones books - we read them together even when she was a teenager. The Donna Gray book looks good. I like reading true stories about women. Have you read Maude by Donna Mabrey, I think it is? It's a simple but riveting story. A great birthday photo. What a happy smile and a big bunch of bright and colourful flowers for the birthday girl. 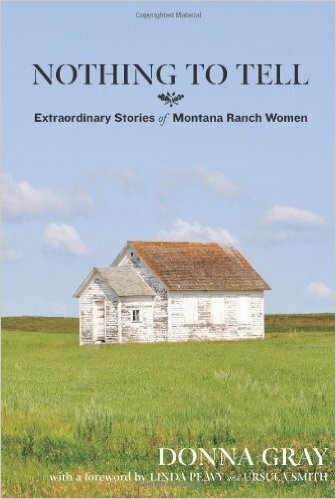 The book you are reading, Nothing To Tell by Donna Gray sounds like a good one. I'm going to check it out. My youngest and now the grands love Junie B. Jones books. what a sweet pic with her flowers!! my daughter loved junie b...we still have them all! the nothing to tell books sounds great...i'm going to have to check it out! thanks for linking rose and hope you have a happy valentine's day! What a precious smile on that birthday girl. She's a cutie. I have a picture book called "BIRDS" by Henkes - there is a double page that look like your photo - suggesting all the birds could fly out of a tree at once and it would be like they yelled "Surprise!" There's that little sunshine again! Those big beautiful flowers just suit her. The bird pictures are amazing! Sweet birthday photo of Lorelei! Oh, I so understand that need for a nap after the bicycle! :-)I generally take my naps in the afternoon when I can, though. I wanted to tell you, it's so awesome that you are also familiar with Mrs. Mike! I've read it about six times and own three copies! :-) I have Tisha on my "To Read" list on Goodreads. Do you use the Goodreads site? I will also check out the other book you mentioned. I love books that are enjoyable at any age. The birthday girl looks quite pleased, and that is one gorgeous bouquet! Lots of birds! Well Happy belated Birthday to the Number one girl. I like reading some children's books they can be just what one needs at the time. Good stories. I just read Gumshoe Girls stories by women that left home and went up north to the wilds of the Canadian coast and lived off the grid in the early 70s. My wish and I didn't do it. Glad you got the bike---good exercise. I love her smile. Happy Birthday Lorelei! Beautiful flowers. I would be taking a nap too. Liked the look of the books. All those geese and swans, what an amazing sight. What a sweetheart in that first photo! :)) Happy Belated Birthday! Love the look on Lorelei's face! She definitely looks pleased! Beautiful photo of the birthday girl. My sister has been getting these books for her granddaughter at the library - they love them. Thanks for sharing what you are reading; sounds good.